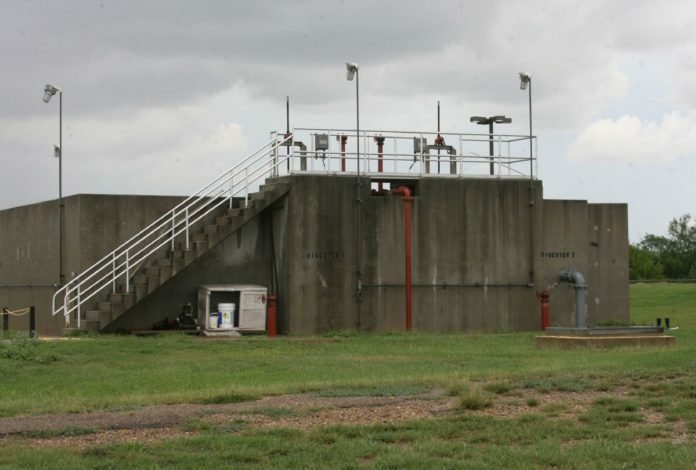 The city of Weslaco settled a lawsuit against the engineer it hired to design a multimillion-dollar water treatment plant that was deemed deficient. Weslaco commissioners on Tuesday unanimously accepted a $1.9 million settlement against San Antonio-based Briones Consulting and Engineering Ltd. and its owner Rolando Briones Jr. The city was originally seeking $3 million in damages. The city sought the money claiming Briones committed negligence, negligent misrepresentation, fraud and breach of fiduciary duties. Briones Consulting and Engineering’s insurance company will hand over a $1.3 million check to the city within 30 days, according to Mayor David Suarez. The other $600,000 agreed to in the settlement comes from the city withholding payment to Briones since early 2016. “It is a win for Weslaco, and we’re happy that we’ve already got this thing taken care of,” Suarez said of the settlement. He isn’t the only one pleased. Briones did not return calls for comment Wednesday. In 2016, the city stopped paying Briones when the firm failed to provide adequate information to prove payment was necessary, according to the lawsuit. Briones Engineering representatives then ceased seeking more money from Weslaco. “By charging the city more than double the market rate for their services, Briones and Briones Engineering failed to protect the public welfare by depriving the city and its citizens of funds that could have been utilized on additional infrastructure projects, which are much needed in this growing city,” according to the lawsuit filed on behalf of the city. The settlement comes more than four years after The Monitor published a cost comparison investigation of water projects throughout the Rio Grande Valley. “This amount is ‘$4 million more than any other engineer had been paid to build any other water treatment plant in Hidalgo County in the last decade’ and is 2-3 times higher than the average engineering rate in Texas,” the lawsuit read, citing the 2013 Monitor investigation’s findings. Briones Engineering’s water treatment plant design cost the city $38 million to construct, according to the original petition filed in March 2016. Payments made to Briones totaled more than $8 million — about 21 percent of the $38 million in water system upgrades. Briones Engineering worked with Massachusetts-based CDM Constructors which the city contracted to act as the construction manager at-risk for the multimillion-dollar project. A no-bid contract for the water plant was issued in 2011 when it was deemed an emergency situation because the city lacked production capacity. The lawsuit came about after the city attempted to audit Briones Engineer’s project file in 2015. The audit hit a roadblock when Briones Engineering omitted providing job cost, insurance and subcontractor records to the city. “The city trusted Briones Engineering to perform its services in an adequate and competent manner, and to answer all inquiries about its services so the city could inform its citizens about how tax dollars were being spent,” the lawsuit states. A judge ruled that Briones had to produce documents the city requested, the lawsuit states, but it again still failed to do so. Soon after the audit attempt, the city filed suit. Many of those sitting on the current commission, including the mayor, were not around when Briones was hired. The city was also under different administration. The settlement agreement documents remain temporarily withheld from public disclosure until signed by both parties. Suarez said attorneys representing Briones Consulting and Engineering wanted the city to sign a non-disclosure agreement to keep the settlement from the public. Once the settlement is signed, it will become publicly available. The settlement money could be used toward the water treatment plant. The city, though, has enough water capacity for at least 20 more years despite water plant No. 3 sustaining corrosion due to “errors” made by Briones, according to the lawsuit. Water plant No. 3 remains inoperable. Residents have been paying higher water rates to foot the cost of the $38 million in water system upgrades, which were eventually completed in 2016. “We’re strapped from lowering it to meet the bond obligation,” Suarez said.